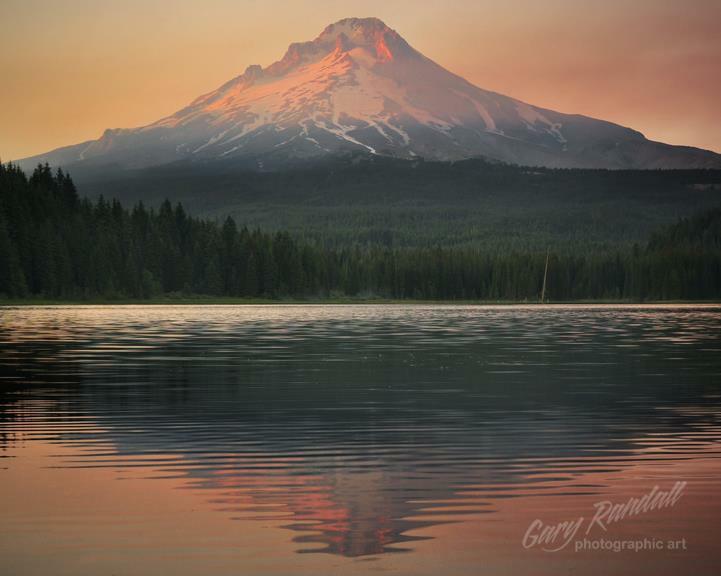 A lightning strike-caused wild fire has been slowly growing in the Mt Hood National Forest for the past 10 days. 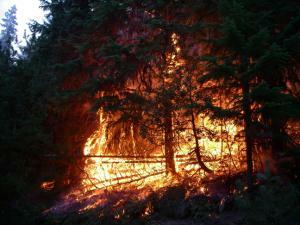 The Dollar Lake Fire was first sparked in the late evening on August 26, 2011 from a lightning strike. The site of origin is in a very rugged, roadless area of the Mt Hood National Forest. The fire has grown to just under 3000 acres in the past week and a half. The forest fire is located about 7 miles SSW of Parkdale on the northeast side of Mt Hood and about 16 miles NNE of Welches "as the crow flies". Of course the direct line from the fire to the Village of Welches goes through the mountain, several lower mountain ranges and a very large river gorge created by the Sandy River, all of which create obstacles to movement in this direction. This fire is adjacent to the burned-out area of the 2008 Elk Meadows Fire. The 5-day weather forecast for Welches calls for high temperatures in the 80's and winds from the ESE around 5-7 MPH and gusts up to 12 MPH. The weather forecast for Parkdale is for highs close to 90 and winds coming from the East at about 6 MPH, switching to a NNW direction in the evening. As a precaution, the forest service closed Lolo Pass Road at the turn-off to McNeil Campground, Ramona Falls Trailhead and Lost Creek Campground. All campers and hikers in this area were evacuated on Saturday, September 3rd. There are two very good resources for up-to-date and factual information about the fire (it is getting a bit dramatic out there, especially on Facebook), visit the USFS official Incident Website or visit the Hoodland Fire District Facebook Page. 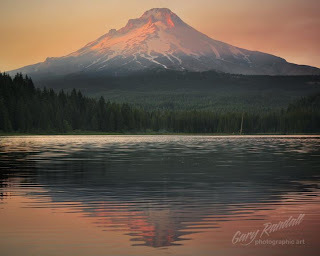 How does all of this affect your vacation plans to Mt Hood? The winds have died down and the skies are clear and blue on Sunday morning, September 4, 2011. While a few trails and campgrounds have been closed, most areas are still open for recreation in the Mt Hood National Forest. 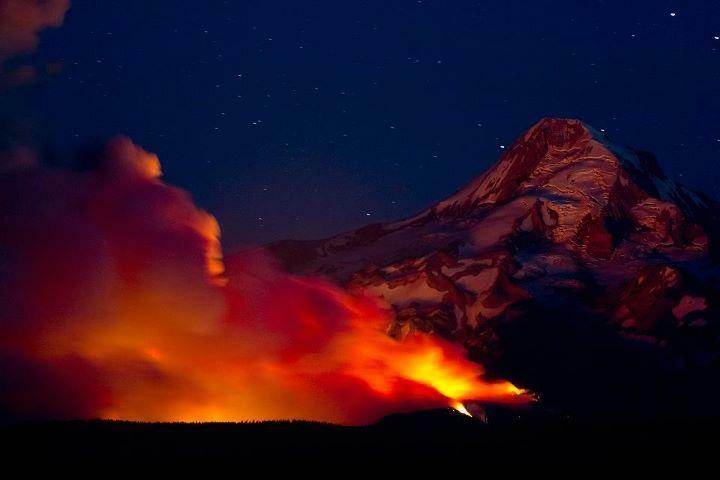 And there is no threat of fire anywhere near any Mt Hood Vacation Rentals. So you can still head up and enjoy your vacation. Gary Randall photo taken at Sunset on Sept 3, 2011.